Leading Specialist Dealers will be selling new and old collectibles. 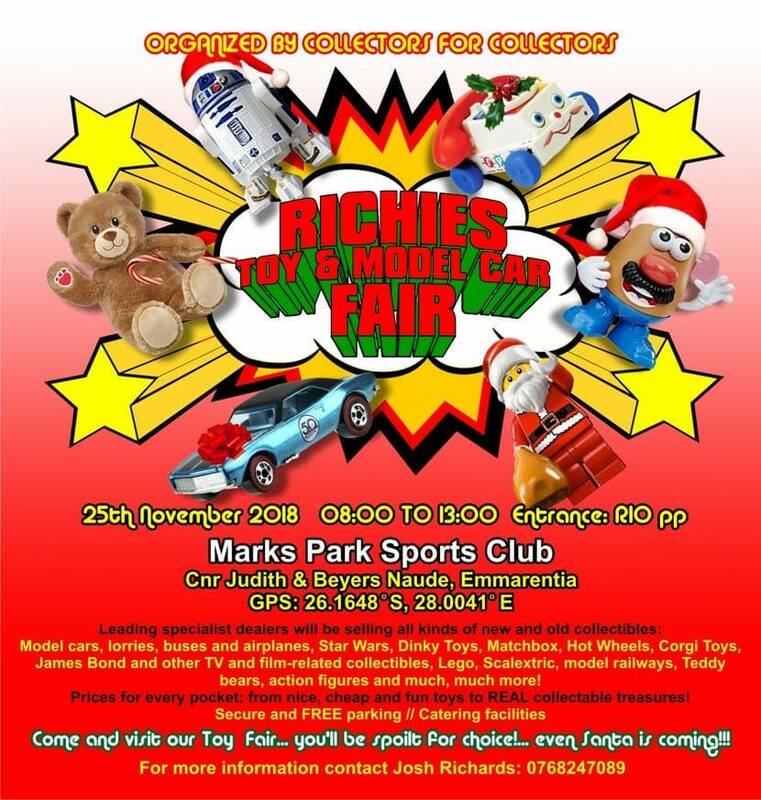 Model Cars, Trucks, Buses and Airplanes, Star Wars, Dinky Toys, Matchbox, Hot Wheels, Corgi, James Bond and other film-related collectibles, Lego, Scalextric, Model Railways, Teddy Bears, Action Figures and many more! Douw Marais, Good Food, Leefstyl, Leefstyl C, Lifestyle, Lifestyle C, Model Cars etc, News, Toy Fair. Bookmark.